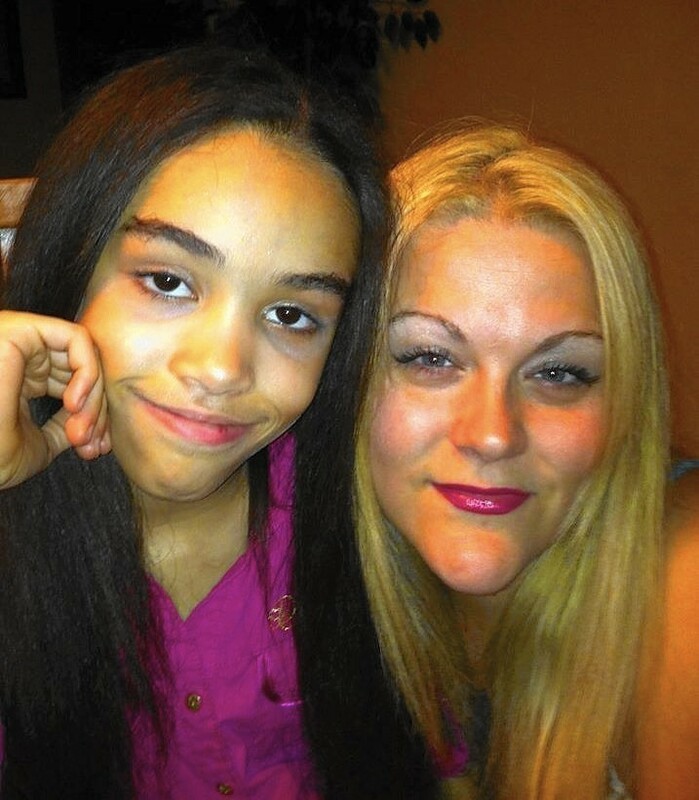 Raashanai Coley, age 11 (left), was starved and beaten to death by her mother, Nicholette Lawrence (right). Her stepfather Robert Lawrence, who lived in the home, has not been charged. Raashanai was homeschooled and, according to some reports, autistic. Her two younger half-siblings attended school and were apparently not abused. Around the time of Raashanai’s 2003 birth in Oregon, Nicholette Lawrence lost custody of her first child, a boy, and pleaded guilty to transporting an underage girl across state lines to engage in prostitution. After child services began investigating Lawrence for exposing Raashanai to her adult business, Lawrence signed over guardianship of Raashanai to her own father and stepmother. Lawrence reclaimed her daughter in 2007 when she moved to Texas with her new husband Robert Lawrence; the family moved to Illinois shortly thereafter. In August 2011 Robert Lawrence was charged with battering Raashanai but he continued to live in the home. In June 2012 Raashanai was withdrawn from school to be homeschooled. The family’s neighbors did not know that Raashanai was living in the home, although they frequently saw her siblings. Raashanai died September 5 after Nicholette Lawrence struck her in the abdomen on September 3, rupturing her stomach. She did not seek medical attention for her daughter. Raashanai weighed 55 lbs. at the time of her death. Lawrence was charged with first-degree murder and her other children were removed from the home.